"Rosalind Laker" is a pseudonym used by Barbara Ovstedal, who also used pseudonyms "Barbara Paul" and "Barbara Douglas". Rosalind Laker was the pen name of Barbara Øvstedal, born Barbara Geils in England. She hardly knew her father, who died when Barbara was three years old of lung disease contracted during his army service in World War I. She attended Chichester High School for Girls, where she achieved the country’s highest marks in English, and won a scholarship to Worthing Art School. There she studied the history of costume and dress design. During World War II, she worked in on the production line in a munitions factory and served as a fire watcher at night. In London in 1944, she met her future husband, Inge Øvstedal, a Norwegian stationed in England with the Royal Norwegian Air Force. They married in 1945 and moved to Norway the following year. According to family legend, her first published work, for which she won a hair dryer and five pounds, was an article in Parent Magazine about the difficulties of having a 13-year-old daughter who was already six feet tall. One day she read a romance story in a magazine and decided that she could write one as well. The resulting story was published immediately and established her as a popular writer of magazine short stories and serials, many of which were later published as in book form and sold internationally. Her agent advised her to choose a pen name because of her difficult surname, and she chose Rosalind Laker, combining ancestral names from both sides of her family. Her first novel, Sovereign’s Key, which appeared in 1970, was followed by more than 40 historical novels, some of them bestsellers. 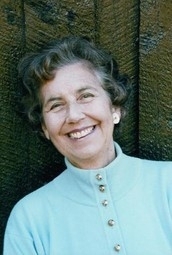 Her love of Norway prompted a travel book and three novels, including her last, The House by the Fjord (2011), which drew on memories of her life in Norway in the late 1940s. Jacqueline Kennedy Onassis was Barbara's editor when she was published by Doubleday. Rosalind Laker's book Venetian Mask was available from LibraryThing Early Reviewers. Rosalind Laker is currently considered a "single author." If one or more works are by a distinct, homonymous authors, go ahead and split the author. Rosalind Laker is composed of 5 names. You can examine and separate out names.